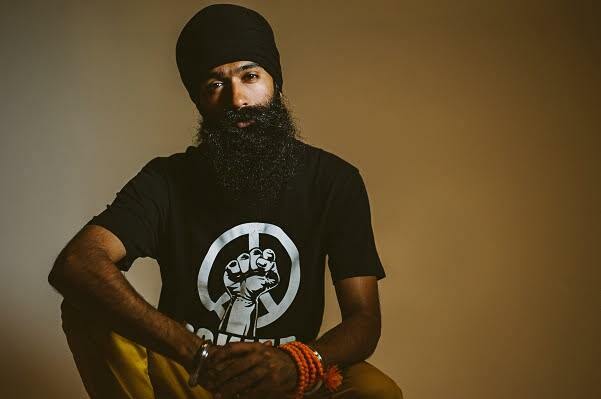 L-FRESH the LION, a Sikh hip-hop artist from South-West Sydney with his finger clearly on the pulse of Australia’s often hidden culture of racism, is making ripples as an unlikely social activist. L-FRESH is this week’s Changemaker. He spoke to Xavier Smerdon. For many people, being both Sikh and an emerging hip-hop artist seems almost like a contradiction, but for L-FRESH, the two worlds were made for each other. Since bursting onto the music scene in 2014 through triple j Unearthed, L-FRESH has also made a name for himself as a powerful opponent to racism. An ambassador for All Together Now, Australia’s only national charity that exists solely to address racism, he has used his role as a musician to spread messages of love and acceptance. In this week’s Changemaker column he talks about Australia’s ongoing journey with racism, what it is like to belong to several vastly different worlds and just how he got the name L-FRESH the LION. When I look back at it there’s a couple of different things to think about. I look back at my friends at the time who exposed me to a variety of different styles of music and hip-hop was one of those styles. When I heard it I was immediately caught by its rawness and its ability to tell stories in such a powerful and honest way. But when I look back at what else got me into music I reflect on the very first song that I wrote. I don’t remember the lyrics but the title was World of Discrimination and I think it was my reflection on my experiences with being discriminated against and racism. I suppose relating to hip-hop in what I was listening to, that story of wanting to share my ideas and thoughts around a certain experience that I was going through inevitably I think raises a point of what drew me to hip-hop. You seem to have taken on a bit of a social activist role and to be using your audience to drive home some significant messages. I know that you’re the ambassador for All Together Now, so being in this position of having a growing hip-hop audience, do you see being an activist as one of your roles? To be honest I don’t really think about it that much because it’s one of those things where when I think about an artist and their role in general it’s hard to say that artists should be like this or they should be like that. There’s such a mix of artists and we all play different roles but I think just from a personal point of view for me I try to create the kind of music that really inspired and motivated me to become a better person and it was music that made me feel certain ways but also music that made me think about things differently and challenged me in certain ways. So I try to reflect that kind of legacy that I found through hip-hop and bring that across. I think just inevitably, as well outside of music, I tend to be quite passionate about a lot of different things, particularly at a community and grassroots kind of level, but just in general I’m a concerned human being looking around at what I see in a very loving way but also in a critical way as well because there’s a lot of things to think about. I think that just comes across as part of who I am. Whether I was doing music or not I think I would kind of playing that role anyway. Growing up in South-West Sydney and being Sikh, was racism something you had to face a lot? It’s one of those things that’s part of the experience of a minority in Australia. It’s not an experience that’s unique to Australia, but it's definitely present in Australia. I definitely experienced things growing up that reinforced to me that maybe I wasn’t considered what the norm might be or I deviated from the standard and that was made quite clear, and it’s still made quite clear in this day and age on all different kind of levels, but particularly on an institutional and political level. How far do you think Australia has still got to go when it comes to racism? For myself it’s difficult to say because I come from an Anglo-Saxon background and I’ve never had to experience racism in my own country, but with the experiences you’ve had, do you think Australia has a lot of work to do in terms of racism? I think we’ve got quite a way to go. I think about it on multiple levels. On one level, what can we do about it as individuals? I think that each and every single person in Australia, we all have a level of prejudice in us and whether we’re Anglo or of diverse backgrounds, we all have prejudice within us and that’s something we have to address individually because only we can know what’s going through our mind when we see people of certain backgrounds or of certain cultures. 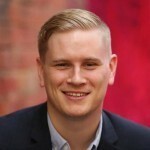 Not to shift the focus on us as individuals but to claim our own personal responsibility because if I as an ethnic minority in Australia have prejudices within me that are long standing, that are set up because of long standing societal messaging and framing around culture and race then so does an Anglo Australian. So we kind of all have to address our own individual prejudices but at the same time beyond that, we have to understand where they’re being informed from, and I think where it’s being informed from is definitely at an institutional and systemic level. We live in a country that has not properly dealt with or come to terms with the fact that it is a colonial society that inflicted a lot of harm in the form of genocide on peoples who have a long history on this continent. There’s a system that was established here specifically for people who are coming here to settle here from the United Kingdom. That system is still present and it’s still existent and until we deal with the realities and the truths of that and the effects that colonisation has had on this country and on the establishment of our systems and our political framework and what it means in this day and age then we’re kind of not going to really get to the core of it and it’s going to continue to be perpetuated. The responsibility like I said before lies with us as individuals to address it in our own kind of way but also to be aware of the fact that we have a political system and I suppose a nation has yet to really come to terms with how much race played a role in its establishment and it’s still being perpetuated today. Going back to being someone who is a hip-hop artist and also conveying these messages of inclusion and acceptance, it seems that usually people have to either come from an academic background or have worked in the sector before people will listen to them. Is it encouraging to you that people are listening to what you have to say? I do have somewhat of an academic background because I have a law degree but in terms of hip-hop music, the beautiful thing about hip-hop music and what drew me to it is the fact that artists have never been shy in communicating their points of view and particularly when you’re talking about artists who come from that perspective of being switched on about social and political issues. When it comes to talking about them they’re not shy to let that point get across. You think about crews like Public Enemy, who are in the Rock and Roll Hall of Fame, (they) are known for being upfront and honest and really in your face about political issues. That’s the tradition that inspires me when it comes to hip-hop. We have such a diverse collection of stories in this country that this is not a field limited to academia because our experiences are everyday experience and as an artist I can only speak of my experience, my story and what it is that I see and it just so happens that it tends to be a part of it. It’s great to be able to take that into the public space and for people to talk about it and to engage with the music in a way that’s kind of meaningful, because like I said, I’m not going to be shy about it. Being from a Sikh background and deciding to get into hip-hop, was that difficult for your family? Did they want you to stick with law? Definitely there was a surprise factor, particularly at the beginning. People didn’t understand the connection but for me the connection is quite clear. Hip-hop at its foundation comes from a space with values peace, love, unity and having fun. At its core there is a central focus on knowledge, with the pursuit of knowledge being quite clear. My faith and my background has those values present as well. The idea of giving back to community is really strong, working hard and earning an honest living is very strong and having that spiritual meditation and quest for knowledge is there as well. So there’s a lot of similarities and for me it felt like a union of different concepts and ideas that worked well to help shape who I am as an individual. Yes, people didn’t really understand that to begin with but I think now they get it because it speaks for itself when they meet me, see me at a show or listen to the music. I’ve got to ask you, where did the name L-FRESH the LION come from? There’s a bit of a story behind it. I used to only show my music to some of my friends at school and one of them was my biggest encourager and he used to keep telling me “hey that’s fresh, hey that’s fresh”. When I decided at some point that I was going to share my music publicly that I needed a stage name and so I used the name FRESH and became FRESH MC. I broke down the word FRESH into an acronym. Hip-hop has this tradition of taking words given to you and refining it in your own terms. So for me FRESH stands for Forever Rising Exceeding Sudden Hardships. That idea of always overcoming. It was my daily reminder and affirmation to be the best that I could despite the circumstances handed to me. At some point I decided to include elements of my my culture and faith. Sikh women have the middle name Kaur which translates to princess and Singh for males translates to lion. So I put the L there at the front and became L-FRESH and then at a certain point I realised that hip-hop is not shy so if I’m going to have this as my name, let’s not be shy and subtle with the L because people are going to be guessing as to what it means, let me be upfront about it and I became L-FRESH the Lion. As your audience grows do you think this social activism, or almost being a spokesperson for the community, do you think that will stay with you? I have no idea what will happen moving into the future, but I will say that aspect of me is present in my life 24-7, within the music and outside of it. So regardless of whether I’m doing music or not, that’s always going to be within me. In 20 or 30 years in the future if I’m still blessed to be doing music at this level then that would be great but that aspect of having such a love and caring attitude for those around me and myself and my community will still be there. I want to keep pushing and striving to ensure that this place, the world that we live in, remains a beautiful place for generations to come so I think that’s going to inevitably be a part of me regardless of what I do.